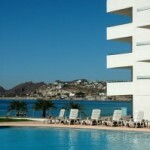 Looking for a hotel in San Carlos or Guaymas, Sonora, Mexico? There are many hotels to choose from. We can help you find a place that’s right for you — whether you’re staying for a long weekend or a longtime, looking for budget or deluxe, or beachfront and ocean view. 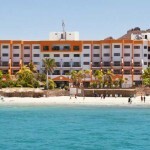 Playa Blanca San Carlos Rentals: the Premiere Condo Hotel in San Carlos. Rated the #1 destination in San Carlos by Tripadvisor. Visit us soon and see why. Marinaterra Hotel & Spa is located in the heart of San Carlos. Marina, pools, gardens, restaurants, views, Tetakawi and stunning sunsets. Dorado Condos is right on the water — rocky, not sand beach, so great for snorkeling. There’s a pool with lounge chairs and a patio with BBQ for guest use (vendors come by selling shrimp and fish perfect for the BBQ). The condos have kitchens and living rooms. Run by a nice family. Near several good restaurants and the marina. A bit of walk or short drive to sand beaches. 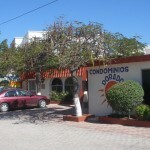 Los Jitos Hotel is located in downtown San Carlos, Sonora in the upper part of Los Jitos Plaza, a beautiful plaza with a typical Mexican style. Beachfront condos with views and beach access. Fully furnished including kitchens, Direct TV and Internet. Beachside pool and Jacuzzi. Workout room. San Carlos Plaza Hotel is right on the beach with the mountains behind. There is a beautiful pool, activities and several restaurants. This deal is not available during Holy Week, Easter week, July or August.